We’re here to help you decide, with our list of the things to consider when choosing your Christmas tree. The evergreen fir tree has been used decoratively in the celebration of winter festivals for thousands of years. The Christmas tree as we know it today originated in the 16 th century in Germany. Decorations at that time were mostly edible, for example gingerbread men, nuts and fruit. The Christmas tree is believed to have become popular when in 1841, during Queen Victoria’s reign, her German husband Prince Albert set up a Christmas tree in Windsor Castle. The 19 th century saw the first artificial Christmas trees, which also originated in Germany. They were made with goose feathers that were dyed green and remained popular until the advent of the bristle version introduced in the 1930’s in America by Addis Brush Company. The company made the trees from the same animal hair bristles used for their toilet brushes, but dyed green. Today the Christmas tree is undoubtedly the centre piece of the home at Christmas time. Both real and artificial trees have pros and cons; for some it is simply a personal choice, and for others it comes down to factors such as convenience, price or the environment. The cost saving. Your artificial tree will be used again and again for up to 10 years, so there is long term value. Divide the price by 10 and you will see how much you are saving each year compared to a real Christmas tree. 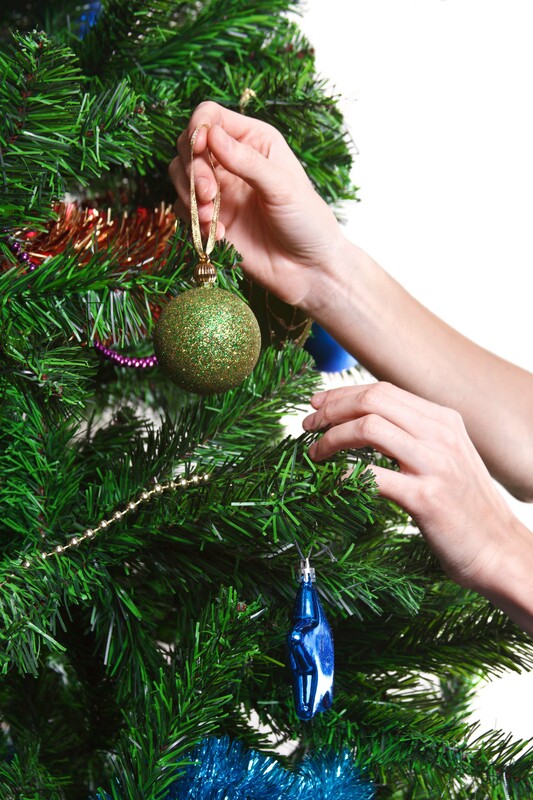 Artificial trees can be left up as long as you want without wilting and the mess of fallen pine needles. This is particularly useful for those who don’t want to wait until December 8th to put their tree up! It is the ideal choice for those who don’t like the idea of cutting down a living tree. They are easier to transport and don’t need to be fitted into a stand. Some varieties may be non-recyclable and can be made from non-renewable resources. They don’t naturally bring that Christmassy smell into your home, however there are fragrance sprays available to remedy this. It will need some storage space in your home while not in use. They can be dropped off at recycling depots when you’re finished with them, where they will composted. The growing of the trees has an environmental benefit. One acre of Christmas trees provides the daily oxygen requirement for 18 people. Going to pick the Christmas tree each year is a tradition in a lot of households. The risk of fire is higher with a natural tree unless it is treated with a fire retardant spray, which also serves to mask the natural aroma. A real tree often needs to have its trunk trimmed to fit into a stand. It may also need to be watered. They are more difficult to transport than artificial trees, and will need to be brought to recycling point at the end of the season. They wilt and their needles fall off after a few weeks. If you’re still confused as to whether a real cut tree or an artificial tree is best, maybe you should consider the third option: a living, potted tree. Available from your local garden centre, the potted tree can either be planted in your garden after the holidays or brought outside in its pot, ready to come back in again next Christmas.